If your PC have undergone Windows 10 fall creator update you have noticed a few new entries when you right click on any file or folder. The entry is share . Most of the people don’t want to use this feature. 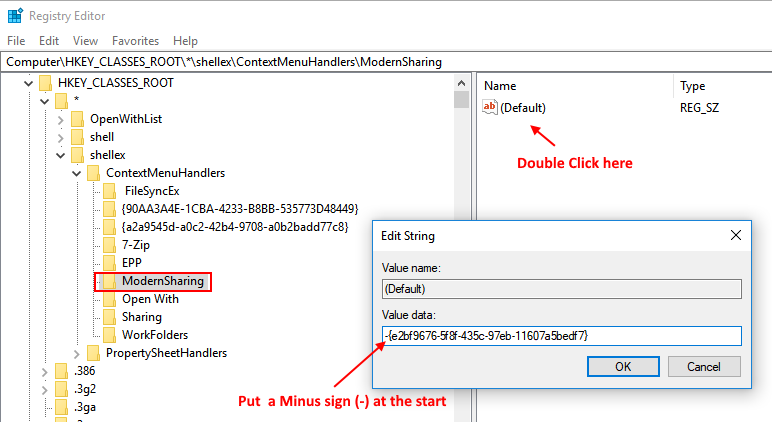 So, it will be a good idea to get rid of these entries from right click context menu by editing right click context menu. Step 1 – Press windows logo key + R from the keyboard to open RUN command box. Step 2 – Now, browse to the following location from the left side menu in the Registry editor. Step 3 – Now, Double Click on the default key in the right . Step 4 – Now, just Put a minus sign in the front of value data field. Step 5- Finally click ok.
That is it. 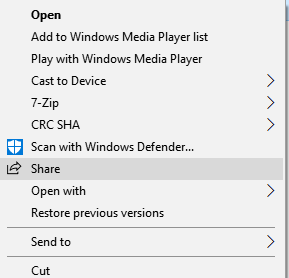 Now, Give access to and share option will be no more in the right click context menu. Note: To undo the effect, just remove the minus sign.